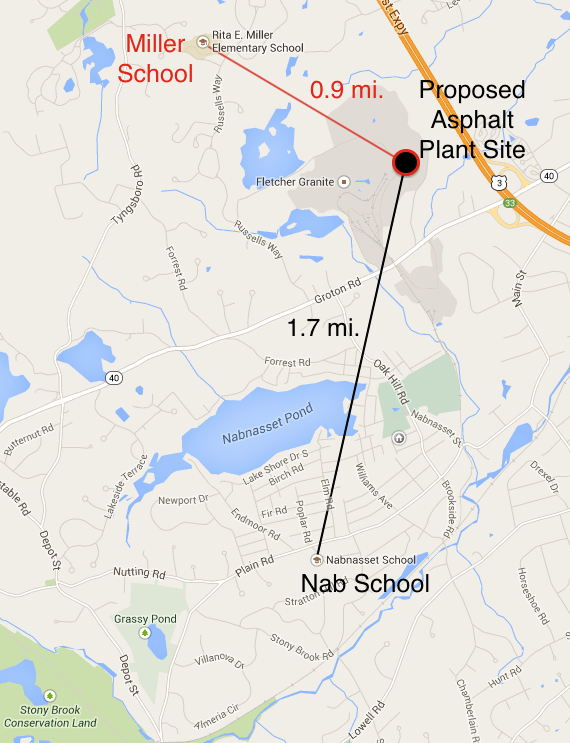 On October 4th, Westford announced that it has agreed to allow an asphalt plant to be built in Westford. Many people think they know where it is going, but they don’t realize where it is in relation to our schools. 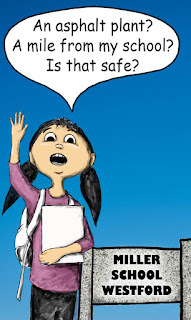 The question is, is an asphalt plant safe for our children?You’d think that the Federal Environmental Protection Agency (EPA) would be a good source to answer that question, but the information they give is contradictory. Since the EPA understands how dangerous an asphalt plant is, it is strange that the EPA has given the green light to having an asphalt plant less than a mile from Miller School, but perhaps it is not so strange. The EPA also gave the stamp of approval to Flint MI’s water quality, and we know how that ended. There are now children in Flint suffering from lead poisoning because of that water. 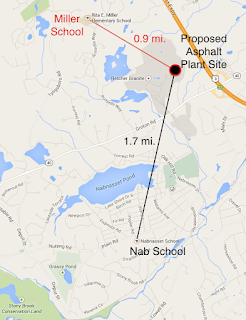 Find out more at a meeting with our Board of Selectman.